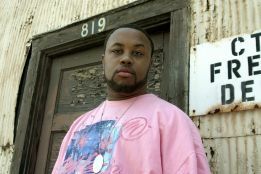 Info: Rob Hodge also known as Solomon is a writer/producer/MC from Philadelphia, Pennsylvania. As a child of the nineteenseventies, he has seen the struggle and crime of the inner city ghetto living in an urban life from North Philadelphia. Since his interest in music began in high school, he kept performing through out college with various groups. His love of music led him in the producer shoes soon after he started his solo career. Through his life journey, Rob Hodge lyrical essays write tales of stories transforming men and women from the street, gospel audience, back-packers, thugs and ordinary people to a life for God. In 1994 he gave his life to the Lord Jesus Christ, in that it began what some call "life changing music" as this led to many other adventures over the years engaging in live performances with such acts as The Roots, Wyclef Jean, Wu-Tang Clan, Kirk Franklin, Hezekiah Walker & Tye Tribbett & G.A., just to name a few. His personal struggle for creative, diversity and balance to enrich the world with his musical gifts is powerful and life changing. On January 19th, 2007 the rapper announces to go mainstream: "I'm officially going to the mainstream general secular market as an artist." This means the rapper will release his album "Rebel Muzik" through a different label then Beatmart Recordings. Talks with other recordlabels or distribution companies are in the works: Def Jam, Atlantic, Interscope, Koch and more. 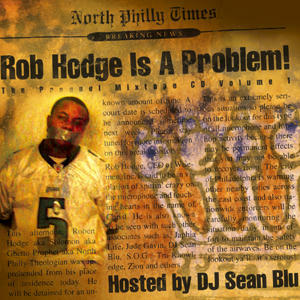 Rob Hodge is not content with the business deals he has been offered therefore he states on his MySpace blog of May 19th, 2007: "I will still be in talks to many Majors and other labels through out the year and beyond. But as of this moment I'm officially an Independent artist and on the verge of starting my own label. These labels can't offer me anything if I can't get the right deal I want." He released his debut album "A New Day in Hip Hop" in 2005. 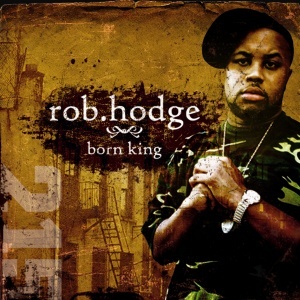 On April 18th 2006 his third record "Born King" is released on Beatmart Recordings. This was a one record deal only. His first official debut project in the mainstream market will be: "Rebel Muzik�. Rob Hodge Is The Future volume 1". The mixtape is hosted by NBA All Star Allan Houston of the New York Knicks and from G-Unit's DJ Whoo Kid's Shadyville's squad - DJ Reflection from B.E.T. 's Rap City and 106 & Park. 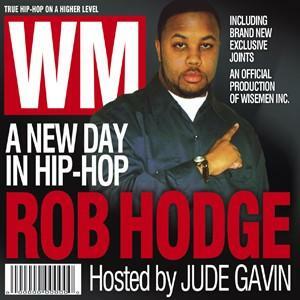 The year 2009 should be the year of Rob Hodge, who will release 3 projects, amongst them the "Rebel Muzik" project and the album "Help Is On The Way". Sources: MySpace Blog: Another Rob Hodge Update 7/26/07, July 26th, 2007 ; MySpace Blog: 10-4-07 Rob Hodge Update.... freestyle downloads.....and more....., October 5th, 2007. Info: The album is scheduled for release in 2009. Info: The album is scheduled for release in March 2009. Info: The album is released April 18th, 2006. 16. The Struggle - featuring T.K. 23. Philly�s Finest - featuring T.K. & S.O.G. Info: Production by Holy hit makerz, 4sight sounds, Rob Hodge, Kid Classic, Platinum Tips, Jude Gavin, Saintman plus Energy & Vland. 20. Not my Girlfriend - featuring T.K.